Yokohama F. Marinos has not submitted any formation. 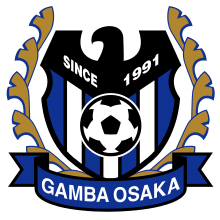 Gamba Osaka has not submitted any formation. Osamu Moriyama shoots... into the sky. Hibiko Hoshigaki runs towards Takeshi Sakuraba... and looses the ball. Takeshi Sakuraba has the ball and sees his opponent in front of him... but he can win the tackling. Yuichi Kamamoto has the ball and sees his opponent in front of him... and looses the tackling. Taiki Unohana shoots... but the goalkeeper can somehow catch it. Shigeru Kobayashi tries to pass the ball to the strikers... but misses! Shigeru Kobayashi has the ball and sees his opponent in front of him... but he can win the tackling. Osamu Moriyama runs towards Yoshifumi Matsumoto... and looses the ball. Shiro Mori shoots towards the goal... but into the arms of the goalkeeper! Taiki Unohana tries to pass the ball to the strikers... but misses! Shiro Mori has the ball and sees his opponent in front of him... and looses the tackling. Cross by Shiro Mori... into the clouds! Cross by Hibiko Hoshigaki... into the clouds! Ryo Yakushi runs towards Ren Terada... and looses the ball. Hibiko Hoshigaki shootstowards the goal... and the ball is in! Hibiko Hoshigaki runs towards his opponent and wins the tackling! Shiro Mori tries to pass the ball to the strikers... but misses! Freistoß für Yokohama F. Marinos! Ryo Yakushi schießt, aber zu ungenau. Meiyo Muguruma gets the redcard because he started a punch-up. Meiyo Muguruma runs towards Jiro Yoshi... and looses the ball. Hibiko Hoshigaki lets taken away the ball. Takeshi Sakuraba passes the ball towards the centre... but the opponent catches it. Hibiko Hoshigaki has the ball and sees his opponent in front of him... and looses the tackling. Cross by Hideaki Akaike... into the clouds! GOAL - what a trick by Kenzo Toyosato! Cross by Ryo Yakushi... into the clouds! Ren Terada has the ball and sees his opponent in front of him... and looses the tackling. Kenzo Toyosato passes the ball... and the ball is out. Yuichi Kamamoto in a tackling... and looses it! Header by Kenzo Toyosato... but missed. Ren Terada in a tackling... and wins it! Ryo Yakushi passes the ball... and the ball is out. Meiyo Muguruma passes the ball... and the ball is out. Takeshi Sakuraba steals his opponent's ball in a tackling. Yuichi Kamamoto tries to pass the ball to the strikers... but misses! Hibiko Hoshigaki passes the ball towards the centre... but the opponent catches it. Hideaki Akaike has the ball and sees his opponent in front of him... and looses the tackling. Takeshi Sakuraba passes the ball... and the ball is out. Shiro Mori passes the ball towards the centre... but the opponent catches it. Ren Terada shoots... but missed. Cross by Shigeru Kobayashi... into the clouds! Cross by Meiyo Muguruma... into the clouds! Ryo Yakushi in a tackling... and looses it! Yuichi Kamamoto has the ball and sees his opponent in front of him... but he can win the tackling. Hibiko Hoshigaki shoots... but the goalkeeper can somehow catch it. Kenzo Toyosato shoots... but missed. Ryo Yakushi tries to pass the ball to the strikers... but misses! Ren Terada passes the ball towards the centre... but the opponent catches it. Ren Terada has the ball and sees his opponent in front of him... but he can win the tackling. Cross by Kenzo Toyosato... into the clouds! Shigeru Kobayashi tries it with a strong shoot... but missed. Meiyo Muguruma passes the ball towards the centre... but the opponent catches it. Hibiko Manda has the ball and sees his opponent in front of him... and looses the tackling. Yoshifumi Matsumoto passes the ball towards the centre... but the opponent catches it. Osamu Moriyama shootstowards the goal... and the ball is in! Maya Shihouin tries to pass the ball to the strikers... but misses! Meiyo Muguruma shoots... but missed. Jiro Yoshi passes the ball towards the centre... but the opponent catches it. Gorou Suguro shoots towards the goal... but into the arms of the goalkeeper!